Both businesses were continued by the family after Fred was killed in 1921, falling from a gaslight pole in Front Street. 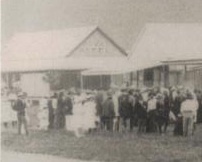 In February 1931 it burnt down, probably when Fred’s son Lennie owned it and Joe Aldridge was the licensee. Times were tough and so it was probably for insurance purposes. There was no fire brigade and the water pressure from hoses wasn’t strong. The young yardman came home after the pictures and saw a flame in the kitchen. He went to the woodheap to get an axe to break the door down and in the dark Joe said ‘Come away you silly bugger, there’s ten gallons of petrol in there’. The Royal was rebuilt in 1932 as a two-storey hotel from chamferboard, with red cedar upstairs. Mr Baio was the licensee. The Royal and Exchange both had large wooden verandahs and external stairs. 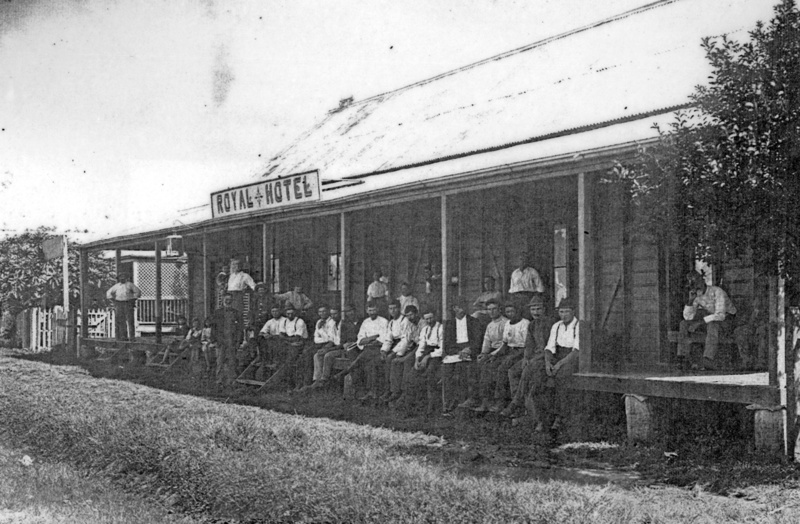 The new Royal Hotel had a carbide plant that made acetylene gas that was used for lights before electricity came in 1938. While still owned by descendents of the Jensen family, the Royal surrendered its licence in 2007. A Melbourne businessman bought it in November 2009 who intended to make it into shops, but the development did not start. 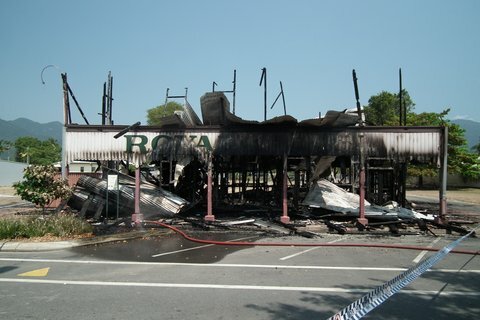 Unfortunately for Mossman, the Royal burnt down quickly on 29 Sept 2011 and has never been rebuilt. It was 80 years and 6 months since it burnt down previously.